Bad planning has destroyed a fertile region, but there’s hope a new water management plan will bring growth and economic sustainability. The Kosi Basin should be a vast breadbasket. Instead it is mired in poverty. A unique collaboration of interested parties, including Australia, could change that, Asit Biswas and Cecilia Tortajada write. On World Water Day tomorrow, 22 March, it is worth considering why water is not foremost in the national or international political agenda, only reaching prominence in times of prolonged drought, serious floods, natural disasters and man-made catastrophes. Water discussions mostly focus on supply and availability, quality and efficiency of use, and are seldom framed in a larger context such as how water can act as an engine for economic development, or how water development could alleviate poverty, generate employment and improve quality of life. Last month, the International Centre for Integrated Mountain Development (ICIMOD), with the support of Australia’s Department of Foreign Affairs and Trade (DFAT) and the Bihar State Disaster Management Agency (BSDMA) met in Patna, India, to discuss how poverty in the vast stretches of the Kosi Basin could be alleviated. 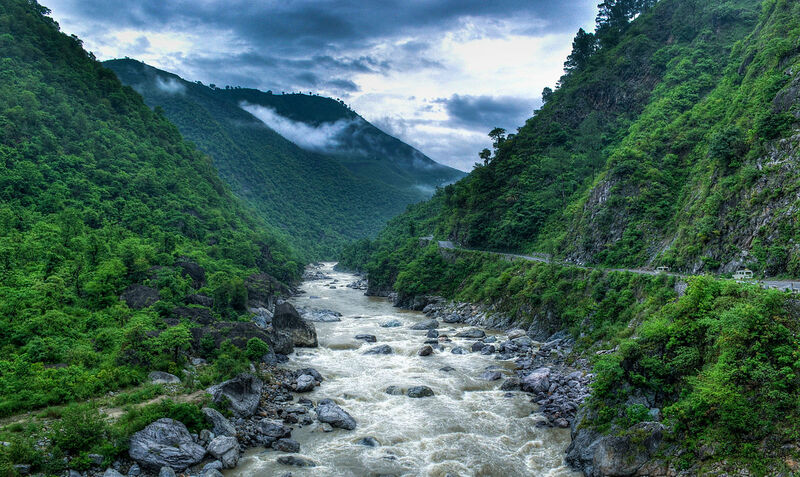 Kosi is a transboundary river that links Nepal and India, and the Kosi Basin is a fertile flood plain, with good arable land, and plenty of water and sunshine. It should be a breadbasket for the region, with high agricultural productivities, and good agro-industrial developments. Yet, despite these natural endowments, Kosi Basin is home to some of the most impoverished people in the world. Men from Bihar now work all over India in low-paid jobs that keep them in a poverty trap. The situation in Nepal is equally bleak. Political turmoil, security problems, and consistent poor policies have meant that Nepal’s sagging economy has failed to meet the people’s aspirations. This has forced young Nepalese men to emigrate to the Middle East and Southeast Asia and undertake difficult, dirty and dangerous jobs. Both in North Bihar and Southern Nepal, the major source of income is from remittances of the people living outside the region. This should not be the case. Mountains cover nearly 22 per cent of the world’s land mass. In 2012, some 915 million people, 13 per cent of the global population, live in mountainous areas. Nearly 90 per cent of mountain people live in the developing world. But, the plight of the mountain people is mostly unknown, and the magnitudes of the problems they pose have been under-appreciated and mostly neglected. For example, even though mountains provide between 60-80 per cent of the world’s fresh water, mountain people seldom have access to clean and safe water, and very rarely to proper wastewater treatment services. Issues include regular floods and droughts, poor agricultural productivity, low cropping intensity, a lack of infrastructure which prevents market access for farmers, consistent mistrust between India and Nepal, absence of adequate energy, and neglect of this region by the two countries. These have all contributed to the perpetuation of poverty in the region. Yet, opportunities have existed for decades to develop water infrastructure. ICIMOD and DFAT’s choice of the Kosi Basin for a pilot project for water-based regional development could improve the standard of living of the region significantly. Nepal has a hydropower potential of well over 50,000 MW of which only about 800 MW has been developed. Its electricity requirements grow at about nine per cent annually and supply has fallen sharply behind. Even in the capital, Kathmandu, residents and industry often face 10-12 hours of power cuts every day. If the hydropower potential of the Kosi and other transboundary rivers could be harnessed, Nepal could easily sell excess electricity to its southern neighbour, and this electricity sale could be the largest export earner of the country. Instead, Nepal now imports electricity from India. Water can be the engine for regional development in the Kosi Basin. A good model is India and Bhutan’s collaboration on hydropower. Bhutan now covers all its expanding electric needs through hydropower developments, and sells the excess electricity to its southern neighbour. Hydropower has become its major export, contributing about 60 per cent of its total export income. Because of this, Bhutan now has by far the highest per capita GDP in South Asia, as well as the highest per capita electricity use. Both India and Nepal should realise that hydropower is not like oil or minerals, resources which can stay in the ground until they are developed. If water is not used for electricity generation and agricultural production, these benefits are gone forever. They are not bankable. The Kosi Project has another distinct advantage. Since it is supported by DFAT, it can use the lessons learnt, both positive and negative, from the development of the Murray-Darling Basin (MDB). Co-author of this article, Asit Biswas, was the independent reviewer of the MDB Plan. In our view, it is one of the best river basin plans available, and the reason it received considerable criticism in Australia is primarily because the process through which it was developed had many fundamental flaws — but not the Plan itself. The lessons of the MDB Plan can be modified appropriately so that it suits the social, economic and environmental conditions of the Kosi Basin. The current effort has a good potential to nudge India and Nepal to use water as an engine for Kosi Basin development. DFAT could be the catalyst and ICIMOD could act as the “honest broker”. Together they should be able to bring India and Nepal to improve the social and economic conditions of the people of the Kosi Basin. This project has the potential for all the four parties, India, Nepal, Australia and ICIMOD, to create a successful joint venture, which individually they probably would not be able to achieve for a decade more.